___ Born in the Netherlands in 1985, Marjan van Aubel is a designer of materials and objects whose practice spans the fields of science and chemistry. 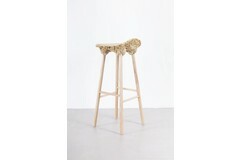 She is a graduate of the Royal College of Art Design Products (MA) and the Rietveld Academy (BA) DesignLAB. Her research process blends scientific precision with sensory responsiveness to develop aesthetic solutions for the future. Van Aubel’s objects make tangible the potential of technology and energy-harvesting for the benefit of the living environment. At the heart of her collection is a series of innovative materials, from foam porcelain to integrated solar cells based on the properties of colour. Intuitive and inquisitive, she believes interdisciplinary practice is the way forward for design. Van Aubel has exhibited at world-class institutions such the Victoria and Albert Museum, Boijmans van Beuningen Museum and the Design Museum in London, where she has been nominated for the Design of the Year Awards twice; in 2013 and 2015. Her work is part of the permanent collection of the Vitra Design Museum, The Montreal Museum of Art, National Gallery of Victoria in Australia and MoMA New York. In 2016 she won the Wallpaper Design Award and was chosen to be theRadicale Vernieuwer (Radical Pioneer) Netherlands. She received the Swarovski Emerging Talent medal in 2015 and the First Prize Dutch DOEN/Materiaalprijs in 2012. She was shortlisted for the Arts Foundation Material Innovation Award in 2014 and is considered by the Design Council as a one to watch; one of 70 designers representing the future of British Design. ___James Shaw was born in Newcastle Upon Tyne and raised in Devon. He is a recent graduate of the Royal College of Art’s Design Products programme and now runs a small studio in London specialising in the design and manufacture of bespoke and production furniture and products. 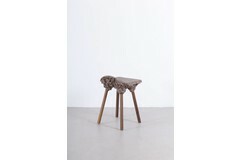 James has exhibited internationally including at The Design Museum, The V&A, Boijmans van Beuningen Museum and MOMA. 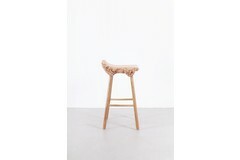 Past awards include being nominated for the Design Museum Designs of the Year Award and winning the Arc Chair Design Award. His work is in the permanent collections of MoMA, The Montreal Museum of Art and the Vitra Design Museum among others. 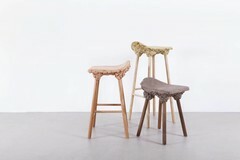 Together, Marjan and James, designed the Well Proven Stool and have exhibited at the MoMA New York, Victoria and Albert Museum, Boijmans van Beuningen Museum and the Design Museum in London, where they were recently nominated for the Design of the Year Awards 2013.